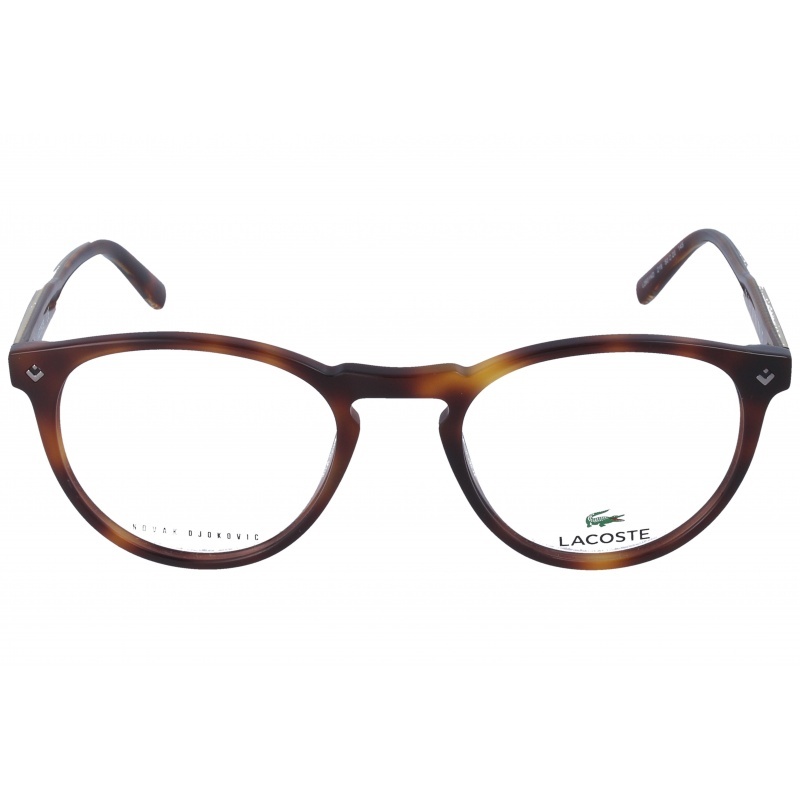 Eyewear by the brand LACOSTE, for Eyeglasses for men, with reference M0014345, with a(n) Modern style.These Lacoste 2813 001 54 16 have a(n) Full Rim frame made of Acetate / plastic with a(n) Squared shape in Black colour. Their size is 54mm and their bridge width is 16mm, with a total frame width of 70mm. These glasses are suitable for prescription lenses. These are top of the range glasses from the brand LACOSTE, made of high-quality materials, modern eyewear that will give you a look that matches your image. 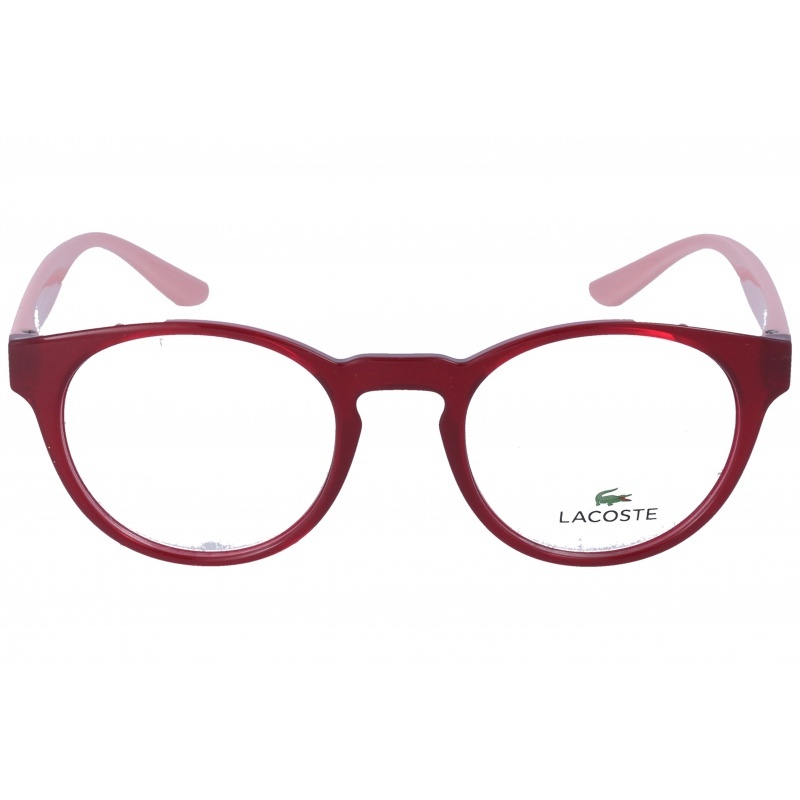 Buy Lacoste 2813 001 54 16 eyewear in an easy and safe way at the best price in our online store. 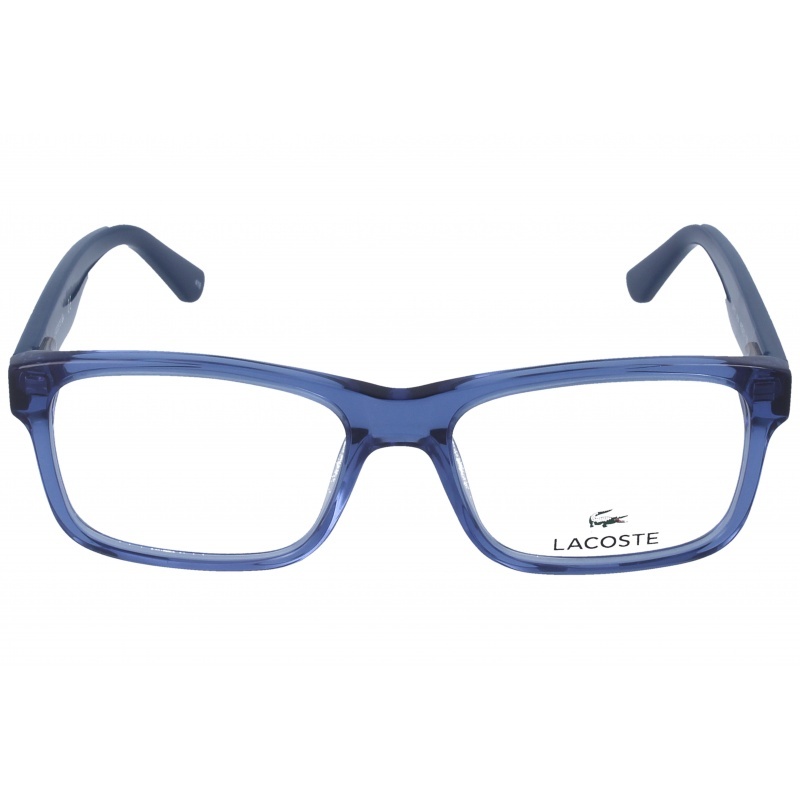 Eyewear by the brand LACOSTE, for Eyeglasses for men, with reference M0014319, with a(n) Formal and Modern style.These Lacoste 2813 424 54 16 have a(n) Full Rim frame made of Acetate / plastic with a(n) Squared shape in Blue colour. Their size is 54mm and their bridge width is 16mm, with a total frame width of 70mm. These glasses are suitable for prescription lenses. These are top of the range glasses from the brand LACOSTE, made of high-quality materials, modern eyewear that will give you a look that matches your image. Buy Lacoste 2813 424 54 16 eyewear in an easy and safe way at the best price in our online store. string(155) "Lacoste 2813 424 54 16 GlassesEyewear by the brand LACOSTE, for Eyeglasses for men, with reference M0014319, with a(n) Formal and Modern style.These Lac..."
string(22) "Lacoste 2813 424 54 16"
Eyewear by the brand LACOSTE, for Prescription Glasses for Children, with reference M0014339, with a(n) Modern style.These Lacoste 3620 467 48 16 have a(n) Full Rim frame made of Acetate / plastic with a(n) Squared shape in Blue colour. Their size is 48mm and their bridge width is 16mm, with a total frame width of 64mm. These glasses are suitable for prescription lenses. These are top of the range glasses from the brand LACOSTE, made of high-quality materials, modern eyewear that will give you a look that matches your image. Buy Lacoste 3620 467 48 16 eyewear in an easy and safe way at the best price in our online store. string(155) "Lacoste 3620 467 48 16 GlassesEyewear by the brand LACOSTE, for Prescription Glasses for Children, with reference M0014339, with a(n) Modern style.These..."
string(22) "Lacoste 3620 467 48 16"
Eyewear by the brand LACOSTE, for Prescription Glasses for Children, with reference M0014338, with a(n) Modern style.These Lacoste 3620 424 48 16 have a(n) Full Rim frame made of Acetate / plastic with a(n) Squared shape in Blue colour. Their size is 48mm and their bridge width is 16mm, with a total frame width of 64mm. These glasses are suitable for prescription lenses. These are top of the range glasses from the brand LACOSTE, made of high-quality materials, modern eyewear that will give you a look that matches your image. Buy Lacoste 3620 424 48 16 eyewear in an easy and safe way at the best price in our online store. string(155) "Lacoste 3620 424 48 16 GlassesEyewear by the brand LACOSTE, for Prescription Glasses for Children, with reference M0014338, with a(n) Modern style.These..."
string(22) "Lacoste 3620 424 48 16"
Eyewear by the brand LACOSTE, for Prescription Glasses for Children, with reference M0014337, with a(n) Modern style.These Lacoste 3621 424 47 16 have a(n) Full Rim frame made of Acetate / plastic with a(n) Squared shape in Blue colour. Their size is 47mm and their bridge width is 16mm, with a total frame width of 63mm. These glasses are suitable for prescription lenses. These are top of the range glasses from the brand LACOSTE, made of high-quality materials, modern eyewear that will give you a look that matches your image. Buy Lacoste 3621 424 47 16 eyewear in an easy and safe way at the best price in our online store. string(155) "Lacoste 3621 424 47 16 GlassesEyewear by the brand LACOSTE, for Prescription Glasses for Children, with reference M0014337, with a(n) Modern style.These..."
string(22) "Lacoste 3621 424 47 16"
Eyewear by the brand LACOSTE, for Eyeglasses for men, with reference M0014328, with a(n) Formal and Modern style.These Lacoste 2843 424 56 15 have a(n) Full Rim frame made of Acetate / plastic with a(n) Squared shape in Blue colour. Their size is 56mm and their bridge width is 15mm, with a total frame width of 71mm. These glasses are suitable for prescription lenses. These are top of the range glasses from the brand LACOSTE, made of high-quality materials, modern eyewear that will give you a look that matches your image. Buy Lacoste 2843 424 56 15 eyewear in an easy and safe way at the best price in our online store. string(155) "Lacoste 2843 424 56 15 GlassesEyewear by the brand LACOSTE, for Eyeglasses for men, with reference M0014328, with a(n) Formal and Modern style.These Lac..."
string(22) "Lacoste 2843 424 56 15"
Eyewear by the brand LACOSTE, for Eyeglasses for men, with reference M0014325, with a(n) Formal, Modern and Retro/Vintage style.These Lacoste 2601ND 218 50 20 have a(n) Full Rim frame made of Acetate / plastic with a(n) Round and Oval shape in Havana colour. Their size is 50mm and their bridge width is 20mm, with a total frame width of 70mm. These glasses are suitable for prescription lenses. These are top of the range glasses from the brand LACOSTE, made of high-quality materials, modern eyewear that will give you a look that matches your image. 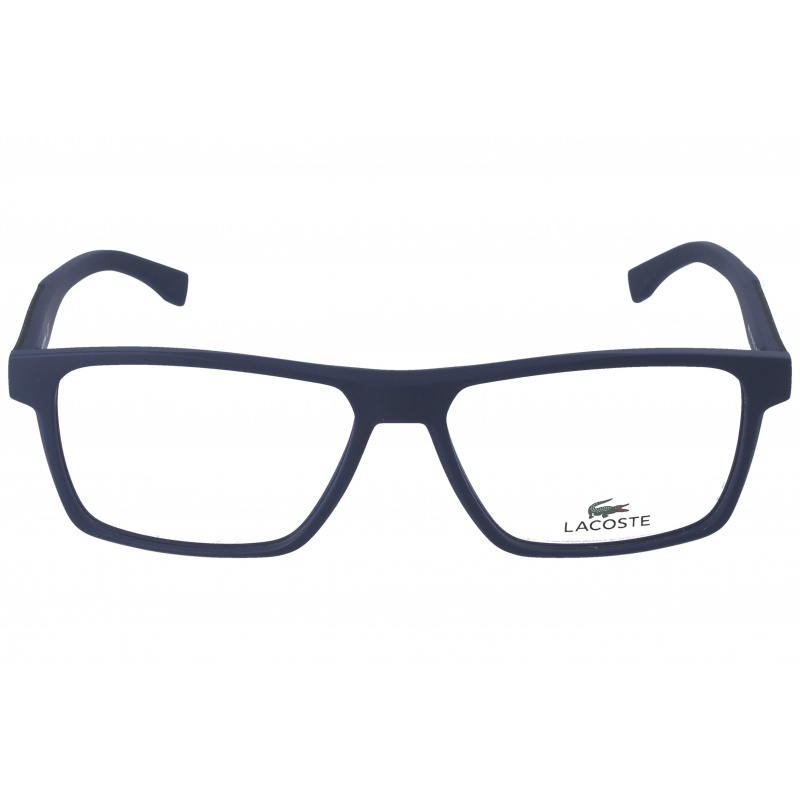 Buy Lacoste 2601ND 218 50 20 eyewear in an easy and safe way at the best price in our online store. string(155) "Lacoste 2601ND 218 50 20 GlassesEyewear by the brand LACOSTE, for Eyeglasses for men, with reference M0014325, with a(n) Formal, Modern and Retro/Vintag..."
string(24) "Lacoste 2601ND 218 50 20"